Join the growing ranks of clients at Verified First. Our clients benefit from our effortless background screening tools with increased efficiencies, and reduced time to hire. Read our client case studies to learn more about how Verified First can help you grow. Fairchild HR is a recruitment company that combines proven recruiting techniques with the most sophisticated technology available. Because their clients rely on them to quickly find and vet top candidates, it’s important for them to have a streamlined process for background and drug screenings. 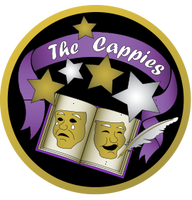 The Cappies is a nonprofit organization that trains high school theatre and journalism students to be expert writers, critical thinkers, and leaders. In each participating school, students run their own production with adult oversight. Because it only takes a single incident to put students at risk, it’s critical for them to thoroughly vet their many volunteers. Renovo Financial is a rapidly-growing private lender serving real estate investors who renovate single and multi-family residential properties. To make loans to financially responsible people, it’s important for Renovo to conduct background screening on applicants.